Beom Lee is Korean Language Lecturer in the Department of East Asian Languages and Cultures. He specialized in second language learning with multimedia at Teachers Collage, Columbia University. In Korea, he taught philosophy, history, and culture of Korea and English in the Republic of Korea Army as a military officer in education and psychological warfare. He also worked for Hyundai Construction and Engineering Company as an assistant project manager. 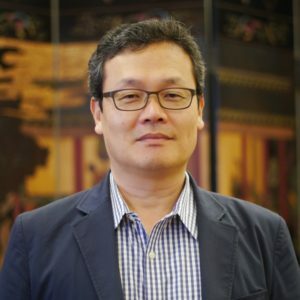 Beom Lee joined Columbia faculty in 2005, has taught Introductory, First Year, Second Year, and Fifth Year Korean, and has developed online Korean language resources for First and Second Year Korean with his colleagues. 407 Kent Hall 1140 Amsterdam Ave.